On Saturday the Radioagencia Nacional reported 23,000 turtles, sea birds and dolphins have been found dead during past two years along coast of Santa Catarina and Sao Paulo, Brazil. Another 2,500 were rescued in poor health conditions and collected for treatment. The main causes of deaths have been the ingestion of garbage and accidents with fishing nets, varying according to species. The biggest victims are the green turtles, the little fox (small migratory seabird), the porpoises and the gray dolphins. Also on Saturday South China Sea Network reported a massive die off of fish in a fish farm in Lingshui, China. On Saturday Bangor Daily News reported dead gannets washing up on the shore of southern Maine and Massachusetts have raised suspicions that a toxic algal bloom could be to blame. Scientists have said that warming ocean temperatures and pollution have contributed to harmful algal blooms that have been reported in recent years in Florida, on the West Coast and, to a lesser extent, in Maine. 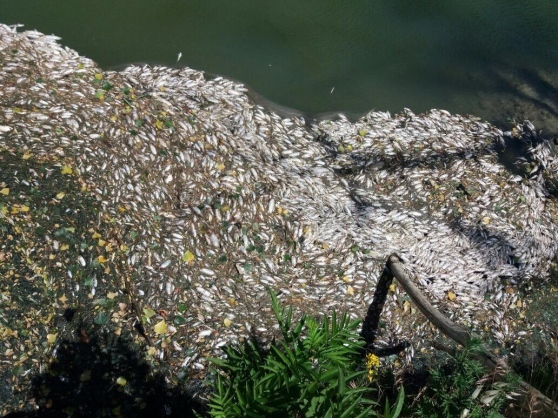 On Thursday the Empoli Chronicle reported thousands of dead fish found in the river Elsa, Italy. On the same day the Menafm.com reported dozens of cattle killed by 'mysterious disease' in Kurram, Pakistan. A day earlier Quintana Roo News reported 600+ cattle have died due to drought in Quintana Roo, Mexico. Water in the area is at it's lowest level ever. The intense heatwave and lack of water is killing the livestock. On Tuesday Riviera Maya News reported a large number of baby turtles found dead in Cancun, Mexico. The dead turtles are hawksbill, loggerheads and white species. Also on Tuesday Chinese news reported 20 tons of fish die in a reservoir in Fujian, China. On Monday Concho Valley reported thousands of dead fish found in the Concho River in Texas, America. Thousands of fish are dying and Texas Parks and Wildlife officials are trying to figure out why. The corpses of bass, carp, perch and catfish have all been found along the river bank near Mullins Crossing and about four miles south of HWY 67 in Tom Green County. Area residents first spotted the washed up fish over the weekend, with even more turning up on Monday. 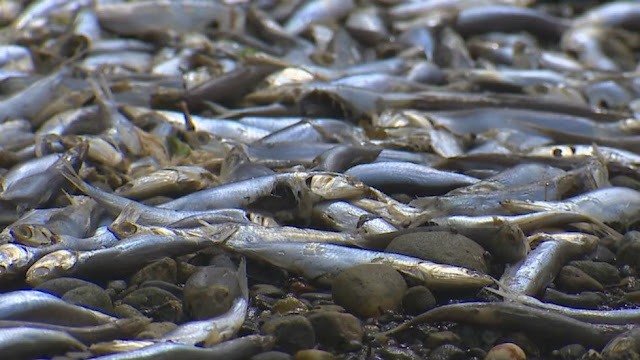 The fish reportedly began to wash up on beaches at Case Inlet near Belfair, Washington, early last week and continued to do so throughout the week, KOMO News reported. The removal of the animals was carried out by members of the local aquaculture association. 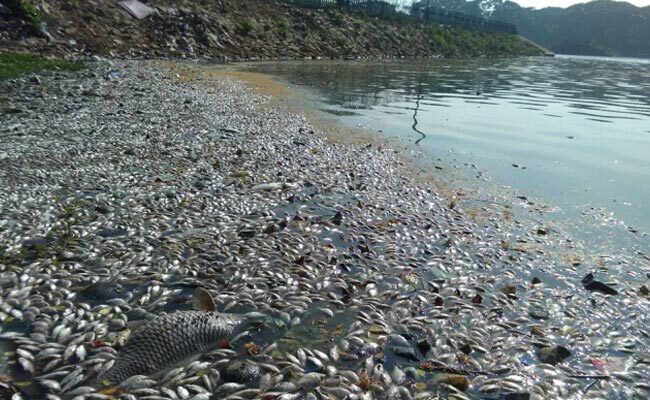 The suspicion raised by agronomists of the region is that the fish deaths were caused by the low oxygen level in the waters of the dam.